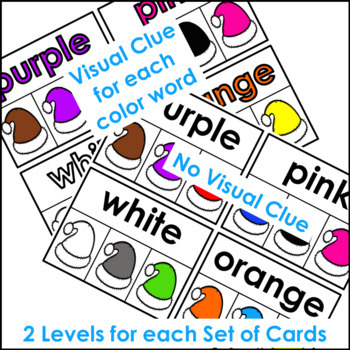 Save money by buying a bundle of Color Words Clip Cards. This is a great way to add some holiday fun to your literacy centers. 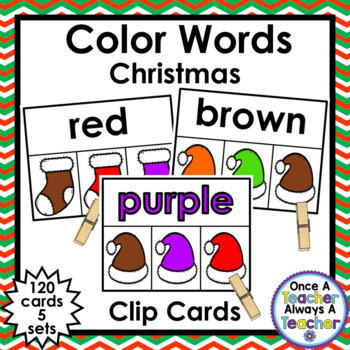 Students will read a color word on a clip card and identify a Christmas item, from three choices, that is that color. Each of the 5 sets of 12 cards have 2 options to meet a wider scope of students' needs. 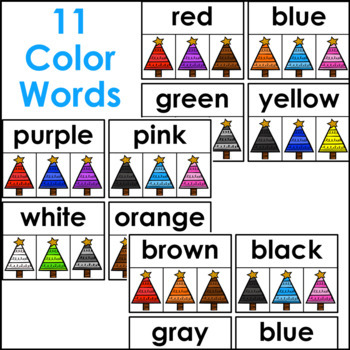 One set shows the word in the corresponding color and the other set displays the word in black letters. There are a total of 120 cards. 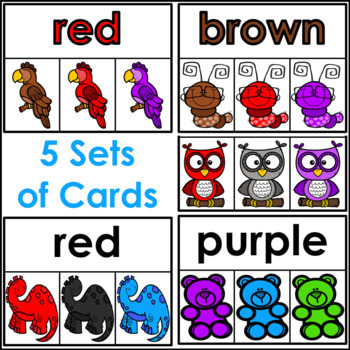 The clip cards may be used with kindergarten, first grade, or special education students.